A fun day in the backyard can take a turn for the worse if you don’t practice proper pool safety, but the right fencing keeps everyone safe. Check out this video for a look at barrier fencing and other pool safety essentials. Safety should always come first, especially when you’re hanging out by the pool. While there’s no replacement for supervision, having a barrier fence can make your pool area substantially safer. Hundreds of children drown each year, but a barrier fence can prevent this type of tragedy from occurring. Make sure your fence closes automatically and latches itself, and choose one that’s tall enough that your children can’t climb over it. Fencing in San Jose is a crucial part of pool safety, and A-1 Fence Inc. is happy to supply you with the pool fence you need . Please call us at (408) 259-2955 or check out our website for details. It is illegal to have a swimming pool without a strong fence nearby. A fence installation is necessary to prevent children and animals from getting in the pool and possibly drowning while an adult swimmer is unaware. Let’s take a quick look at the necessary attributes of a pool fence. There are several materials that you can use for a pool safety fence, but only chain link or wrought iron is strong enough to remain stable through the years. Either option will also maintain its look, which will make for an attractive addition to the yard. When looking for a pool fence, use a metal gate and construction that comes up to at least six feet tall. Make sure the material has been treated against rust, plant and bug growth, and daily wear and tear. To bring some more creativity to the yard, consider installing a beautiful wrought iron design. 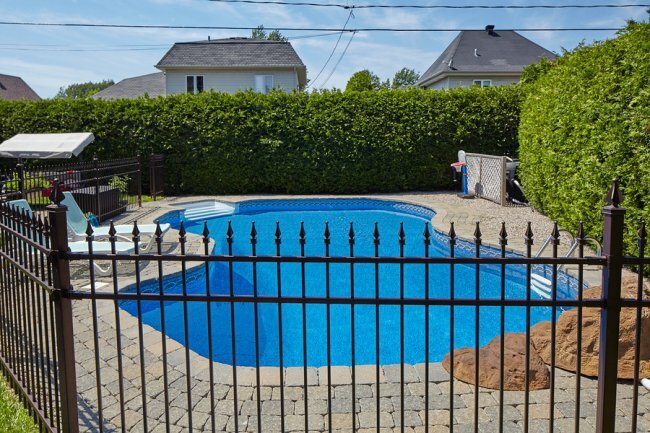 You can trust the expert fencing installers of A-1 Fence Inc. to deliver a quality pool fence near San Jose . Our expert team can make almost any fence design, so call us at (408) 259-2955 to speak with an employee today.